Chinese Horoscope is a proud branch of the Chinese Astrology tree, standing tall due to its precision and reliability. In order to know your Chinese Zodiac Animal, you'll have to get an in-depth knowledge about what's Horoscope, and what is Chinese Horoscope. Why do we need Chinese Astrology and how does it differ from the Vedic Astrology and the Western Astrology. Get all the answers here in our exclusive Chinese Horoscope article. In the fast paced life that we reside in today, our future's at stake. We get stressed too easily and frustrated in an instant, adding it all in the kitty of our woes. Attachments and relationships, bonds and believing in them, creates a certain kind of chaos in our lives. We expect and disrespect in a blink of an eye. The future holds a larger importance to us than all of this. We must know how our lives were and how they'll be after a certain event. The inevitable is what intrigues us.. And that's where astrology and horoscope comes in. Translating from the greek words, 'hora' and 'scopos', horoscope literally means the marker of time. A diagram or an illustration strictly based on the position and placement of certain planets, Sun, Moon, and astrological aspects or some angles at the time of one's birth is what basically Horoscope is. Known by multiple names, horoscope or natal-chart is used as a tool for foretelling the future, in accordance to the point in time it represents; this is what forms the foundation of horoscopic traditions in Astrology..
Differentiated into various types, Horoscope refers generally to an astrologer's evaluation based on numerous factors like the position of Sun, or Moon at the time of the birth. In case of Chinese Horoscope, it is based on the importance of a particular event in the Chinese Calendar. Based strictly on the Chinese Astrology, which follows the principles of Yin and Yang and the harmony of the heaven, the earth and the water, Chinese Horoscope is a traditional form of soothsaying, which came into being in the Han Dynasty. The theory consists of the yin yang philosophy, theory of the 5 elements, concepts of heaven and earth, which were amalgamated to give birth to the principles of Chinese Medicine, Alchemy, and Astrology. The Chinese Astrology works on the The Chinese Zodiac signs. These signs are determined by the lunar year in which a person was born. According to the Chinese masses, the animal ruling one's zodiac is the true quintessence of their behaviour and substance. The astrologers keep Chinese Astrology at a very high pedestal, due to its accuracy and authenticity. Many swear by it and many abide by it, Chinese Horoscope has sure swept off the world with its charm. The twelve animal zodiacs that the Chinese believe in are- Pig, ox, dog, rooster, rat, tiger, rabbit, dragon, horse, snake, goat, and monkey. A Chinese saying, 'this animal hides in your heart', is what one can hear anyone asking the other. The chinese believe that the animal ruling one's birth year has a profound influence on the aura and behavioural personality of the person. Unlike Western astrology, which follows the planetary positions and the cosmic placement of heavenly bodies, Chinese Horoscope is based on the lunar year in which the native was born. It is based on a twelve-year cycle with each year represented and governed by an animal. According to a popular belief, Buddha was the initiator of the Chinese zodiac signs. Upon his farewell from the earthly abode, he beckoned all the animals to bid him adieu, but only a few of them turned up for it. The twelve animals that came at his call were thus honored with an year each, solely dedicated to them. All three reflect and refract different aspects of Astrology and have their own importance to the world. Ancient and old, they've their charm still intact and awe the masses with its accuracy. Hindu Astrology or Vedic Astrology focusses on the moon sign and the constellations. The position of the planets, zodiac signs, lunar month, nakshatra are some of the few things that help them connect the dots for prediction. The major difference that lies here is that of the zodiac signs. The Chinese Astrology has 12 animal, each representing 6 wild animals and 6 domesticated animals, depicting different aspects of our life and life cycle. The Vedic Astrology has 12 different signs, each representing different zodiac signs. Twelve different signs comprise the Vedic Astrology, namely, Aries, Taurus, Gemini, Cancer, Leo, Virgo, Libra, Scorpio, Sagittarius, Capricorn, Aquarius and, Pisces. The Hindu horoscope is divided in 12 parts called houses, each symbolising a facet of our life, and based on these houses and the constellations, the future is predicted. Whereas, in the Chinese Horoscope an year is allocated to one particular animal sign and any person born in that year would possess that same sign. Both Vedic and Western Horoscope follow the rule of considering the birth date, time and place of a native in order to predict his/her horoscope, whereas the Chinese astrology only keeps the year in mind. Western Astrology believes in Sun Signs and the Vedic in Moon Signs. As the Sun or the Moon passes through the native's constellation, it becomes their Sun Sign or the Moon Sign. (Depending on the type of astrology you're considering). In Vedic Astrology, a proper natal chart is made to determine a proper blueprint of the future. Another basic difference between them is the elements that they consider. Elements used in Vedic astrology are Water, Earth, Fire and Air whereas in Chinese Astrology they use five elements of Earth, Fire, Wood, Water and Metal. All three of these methods of predicting the future are primitive, yet tried and tested since ages. Each different and each varied, Chinese Horoscope still has managed to win many hearts and garner respect due its accuracy. 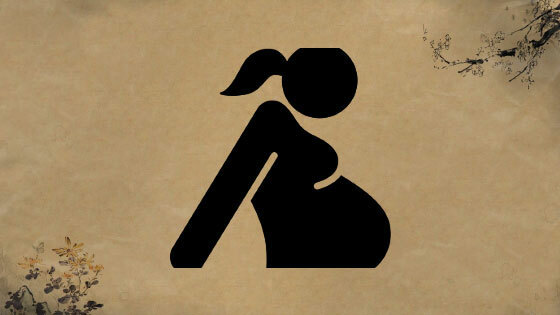 You are pregnant and want to know whether you will have a baby boy or baby girl?